In 2016, Unit London presented the first major London exhibition by Jake Wood-Evans. Taking inspiration from 18th century painters, including declared re-workings of works by Joshua Reynolds and Henry Raeburn. Wood-Evans' unique style of historical ambiguity produces images that are both unsettling and beautiful. Faces are defiled and figures appear as apparitions. Subjects range from a ghostly vision of a society lady to a fading portrait of a once proud general and grotesquely disfigured admiral. Viewed together, the body of work is eerily reminiscent of an art collection of a great estate in the early years of the British Empire. While the haunting redactions of once-heroic subjects might suggest the correcting gaze of a postcolonial sensibility, Wood-Evans' interest lies more with the original artists and process than with the specific subject. With a strong focus on craftsmanship, his work draws inspiration from a diverse range of Baroque and Old Master figurative painters. By scrubbing, scratching and erasing certain areas while building up others, Wood-Evans' paintings are physically pushed and pulled out of the canvas. 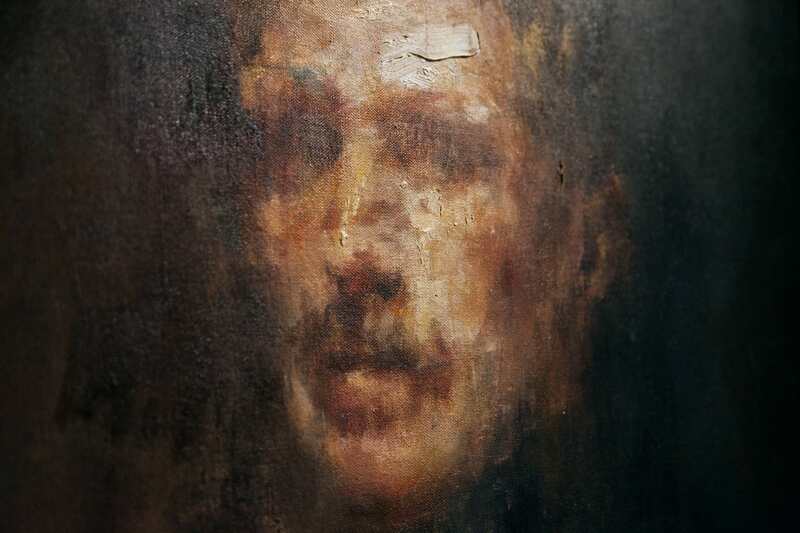 Thick layers of paint contrast with saturated oil on canvas, often laying the grain bare. His powerful use of light emerges from a loose and instinctive application of paint. Each work bears the marks of his journey and are just as fascinating when viewed up close as they are viewed in their entirety. Wood-Evans' haunting works are both reminiscent of the pillaged originals while uncovering a psychological depth which encourages the viewer to look beyond the surface of the canvas and question the records of history.